Want to add this to your EBSCO Platform? EBSCO Discovery Service will automatically enrich catalog records with book covers from one of the most reputable sources in the industry. While foreign language coverage is consistently increasing, some languages – like German – are regretfully underrepresented at this time. For clients wishing to enhance coverage of mostly German language book covers, we offer the ability to incorporate book covers from buchhandel.de. 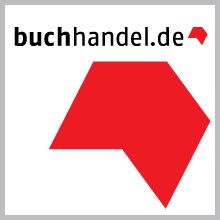 Buchhandel.de is able to provide 1.7 million book covers to registered libraries. You can find extensive information here. Get this app in the Cloud! This app can be fully hosted by EBSCO in the EBSCO Cloud. We implement, maintain and host all of your selected EBSCO apps. When requesting this app, you will be able to request more information about our cloud services.